"Horse riding isn't a sport! Why are you so obsessed with horses?" I'm sure you've heard one of these phrases at least once from a non-horsey friend or sibling. I myself have been caught in one of those arguments. I was talking with one of my friends on FaceTime, telling her about my lesson on my favorite horse Beau (Boo). I was excitedly telling her about riding cross-country when she said, "why are you so obsessed over horses? Its not even a sport!" I immediately retaliated. "It is too a sport! Have you ever ridden a 1,200 animal with a mind of its own which could kill you at any second? Having to rise up in down in the saddle without hardly any help from your stirrups or even ride without them? Having to complete a whole round of jumps while counting strides, keeping perfect position in the saddle, keeping your horse at the right pace and so many more things? Having to sit to a rocking motion perfectly or sitting to a bouncy trot?" My friend just stared at me speechless. She didn't say anything else about it and quickly changed the subject. If riding wasn't a sport then why is it in the Olympics? Or better, why is it 7th in the top ten HARDEST sports? My friend thinks video gaming is a sport but horse riding and field hockey is not (field hockey is one of the sports I play). He thinks these should not be around. GRRR, I think not!!! I totally agree with you. I really don't get why people say it isn't a sport. This post is awesome! You are so so right! I really don't get why people say that riding isn't a sport because it is! There are so many things that you have to remember on the back of a horse. The dressage test, keep your heels down, sit up, and so much more. Horse riding isn't a sport? I'm sure most equestrians and horse lovers have heard people say horse riding isn't a sport. Next time someone tells you that show this post to them. First of all, if you go onto google and look up Equestrianism what comes up? This is what comes up. the skill or sport of horse riding. 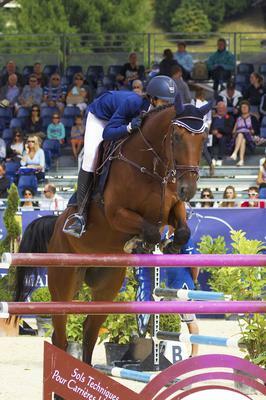 As an Olympic sport it is divided into three disciplines: show jumping, dressage, and the three-day event (combining show jumping, dressage, and cross-country riding). Next, look up the basic definition of sport. Want to know what comes up? Then, if you search top ten most dangerous SPORTS look what's first on the list. Now, look up top ten hardest sports. Lookie here, 7th spot. Everything you look up on the internet says riding is a sport. This is right what you're saying! I don't like it when people say that horse riding isn't a sport!